The latest airplane accident at New York's LaGuardia Airport shows once again how much progress has been made in making airplanes safe even when things go wrong. Just eight of the 150 passengers and crew members on board were reported injured. 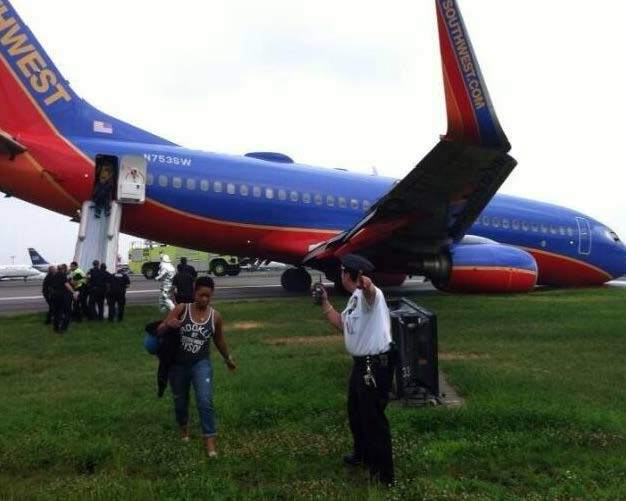 Around dinnertime this evening, Southwest Airlines Flight 345 from Nashville to New York landed either without nose gear or with the pilots uncertain that they actually had nose gear locked into place. At this time, its not clear which. But this video uploaded by Bobby Abtahi from a window at the airport shows the 13-year old plane tail high after passengers have been evacuated by the rear door using the escape slide. 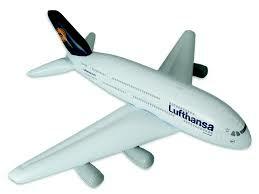 Early reports suggest the pilots had some indication that there was a problem with the front gear. Since this flight landed 40 minutes later than scheduled, it may be that the pilots were aware of the problem and flew around for a while trying to diagnose possible causes and solutions. Broken gear or not, the plane must ultimately land. Capt. Cort Tangeman is now flying B737s. 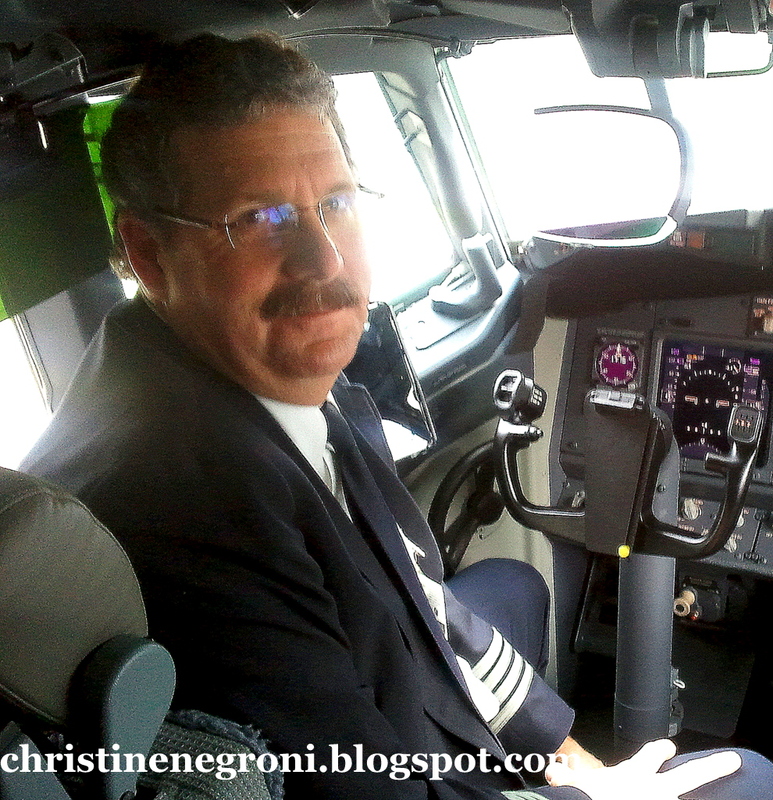 This event reminded me of a story in my upcoming book, FLYING LESSONS, told to me by American Airlines Capt. Cort Tangeman. Just after dawn on June 2006, Tangeman and first officer Laura Strand were nearly at the end of flying a red-eye from Los Angeles to Chicago when on approach to O'Hare, they got a warning that the nose gear was not extended. A fly-by the control tower confirmed that it really was a problem with the gear and not the indicator light. Much discussion ensued considering both how the plane would be handled and what would be done with the passengers after it came to a halt. When we talked about the event this Spring, Tangeman explained how he decided to manage the landing, "We touched down on the mains and let it roll," explaining he delayed lowering the nose as long as he could. When the aluminum skin of the DC-9 finally hit the tarmac he said the sound was like "running a Skil saw on a garbage can." Other moments the captain remembers were the sight of the fire fighters at the cockpit window. Yep, that's how low an airliner is when it is touching the ground and not supported by the gear. Tangeman and Strand were glad to see the fire fighters, because as the plane scraped across the runway it created firecracker-like sparks as highly flammable magnesium was released from the fuselage's aluminum alloy hull. So while the Southwest Flight 345 event this evening is causing havoc at the airport, and making headlines, it is worth remembering that landing with inoperative gear is not unheard of, nor is it necessarily a catastrophe. There have been dozens of similar events over the past 10 years including a Mesa Airlines Bombardier that landed in Chicago without its left main gear in 2008, and a bizarre event in 2011 in which a Continental 757 rolled into a six by twenty foot pothole in Greenville, Mississippi. Who can forget jetBlue Flight 292, an Airbus A320 landing in Los Angeles? The gear was down, but the wheels were perpendicular to the direction of travel. None of the 145 people on board were injured when the plane scraped down the runway, but the landing was sure dramatic. Getting passengers off the plane quickly can be important. But like Asiana 214 in San Francisco two weeks ago, tonight we have another example of the importance of safety design in seats, belts and other cabin materials. That and well trained pilots and flight attendants can make all the difference. Next time some one tells you, "Nobody survives an airplane crash," you'll know better. Christine, I think you're missing a point here. A gear-up landing should be a noisy non-event. I think it's disturbing that there were any injuries at all! If everyone on board knew what to expect and all were properly prepared for the rapid deceleration, why were there injuries requiring hospitalization? Bad luck? Lapses on the part of cabin crew? Non-compliant pax? Cabin environment design flaws? We should be looking forward to the final report on this one. Most injuries in events like this are ankle and foot injuries sustained from using the evacuation slides. This is why some crews are hesitant to evacuate if there is not a pressing need to do so. Cuz, you're making me laugh. You need to do some serious updating of this item. Well, you've updated it a bit but you still got it wrong. Per the NTSB, there is no question as to whether the aircraft was landed with the nosewheel still retracted or partially extended, and the flight crew had no concerns about an unsafe nosegear. "Early reports" that the pilots spent 40 minutes en route trying to troubleshoot a gear problem are false. The facts, according to the NTSB, are that the airplane was landed nosewheel first, collapsing it aft (opposite to thhe direction of retraction), and that the airplane touched down at a three-degree nose-down attitude. May not sound like much, but three degrees is the attitude of an airplane flying a nirmal glideslope.